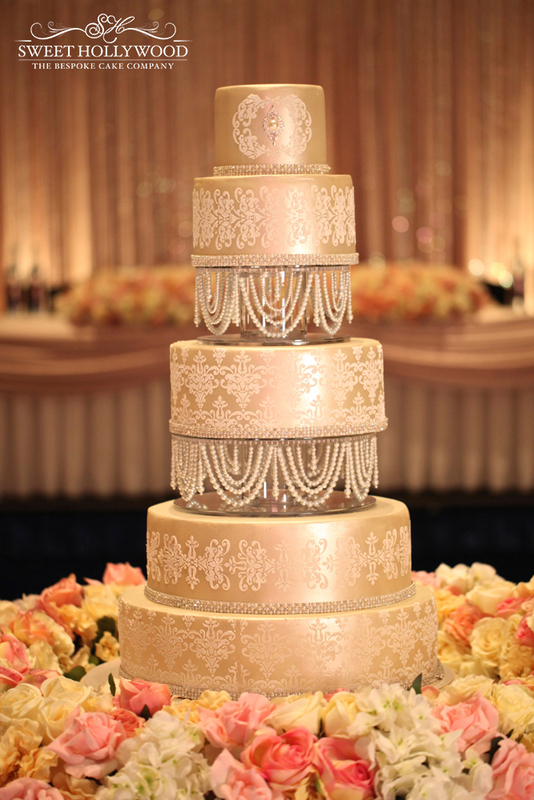 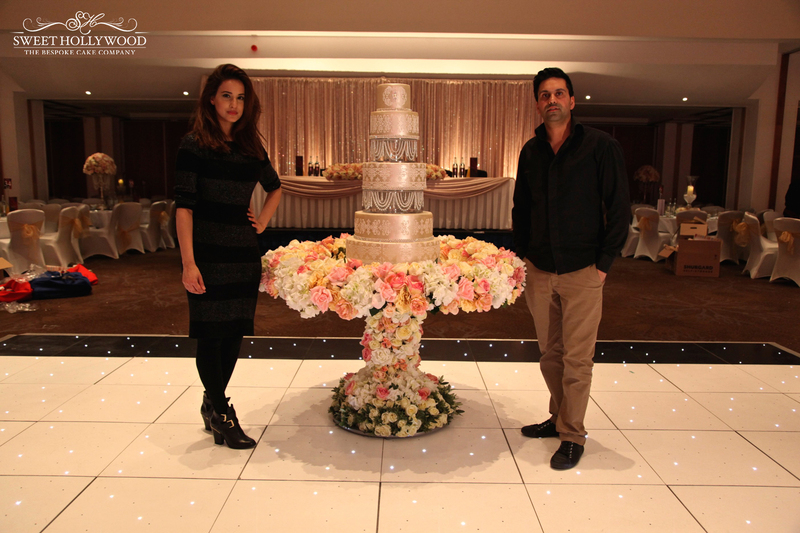 London wedding cake maker Sweet Hollywood Love the glamour and celebration of Asian Weddings, everything from the fine detail which goes into the planning of the big day to the decor and the overall presentation of the wedding reception. 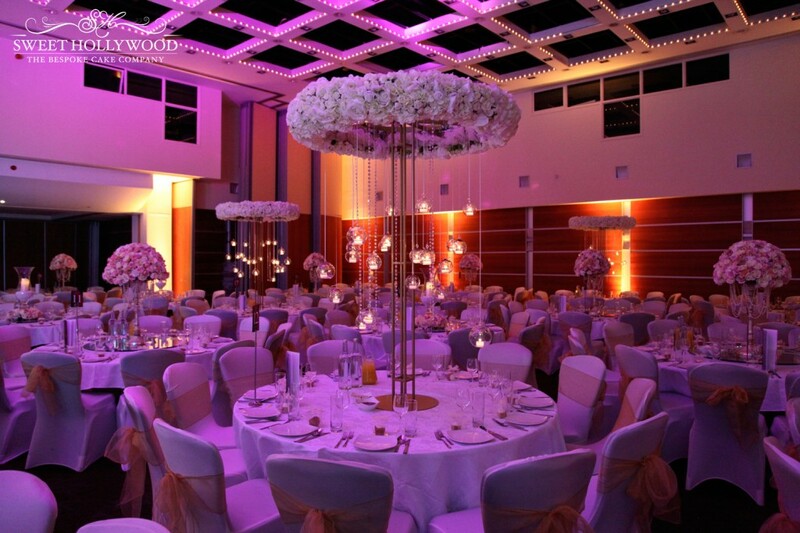 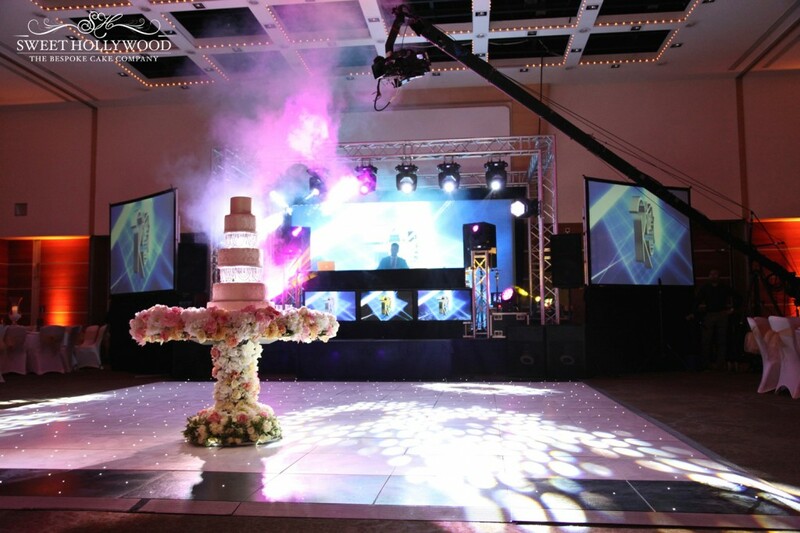 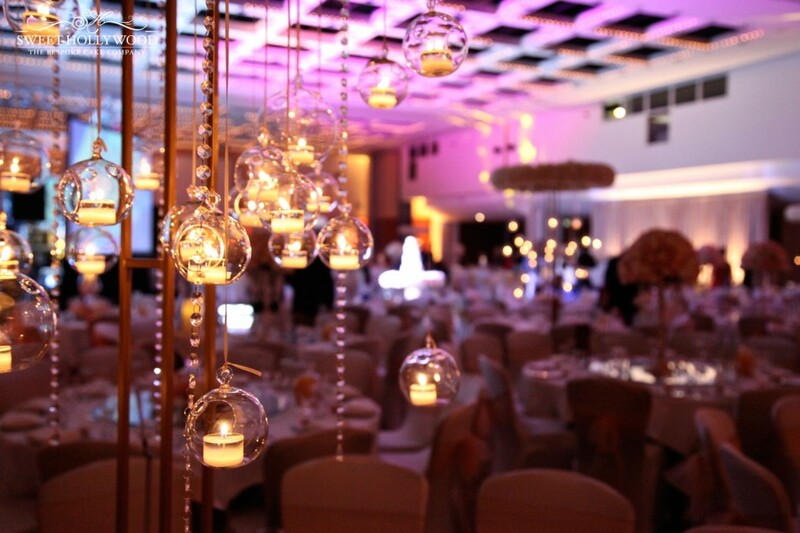 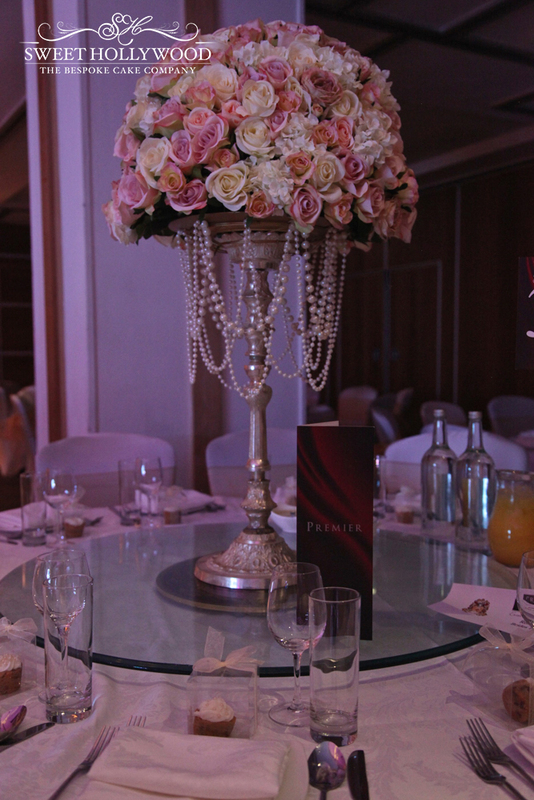 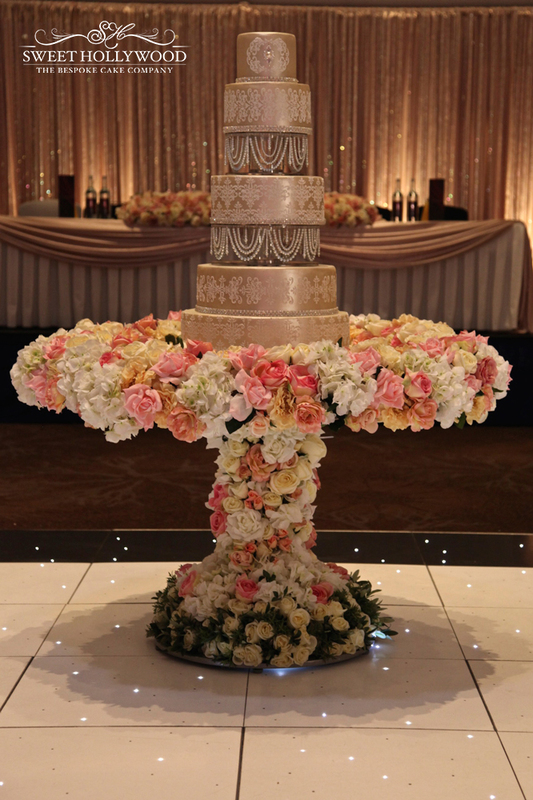 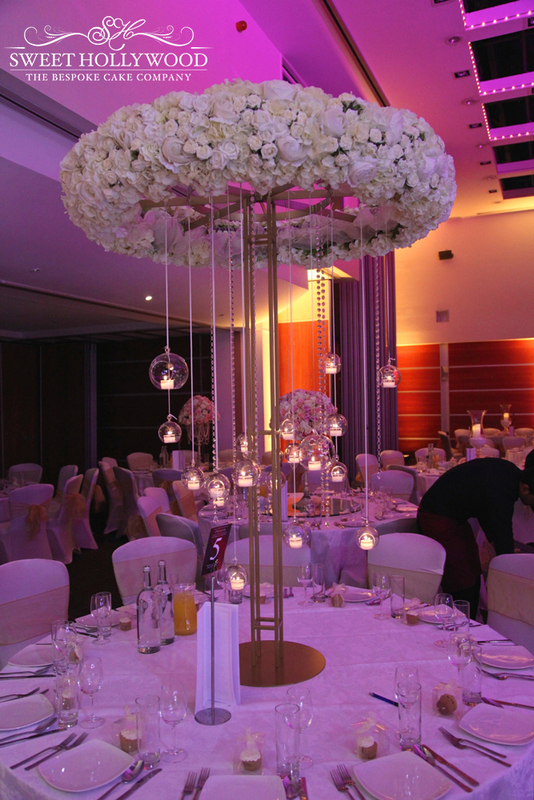 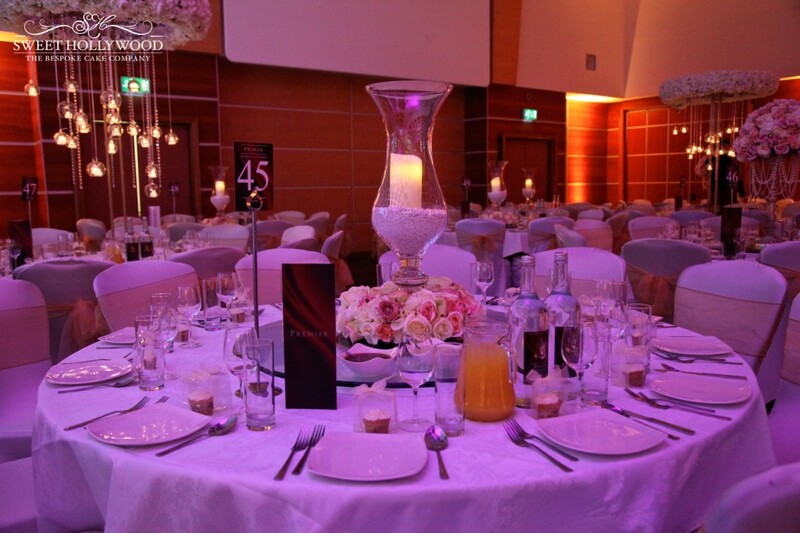 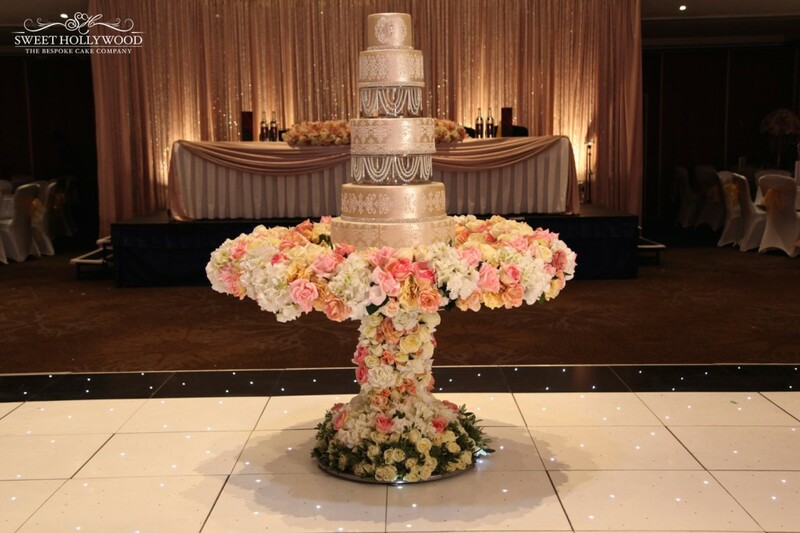 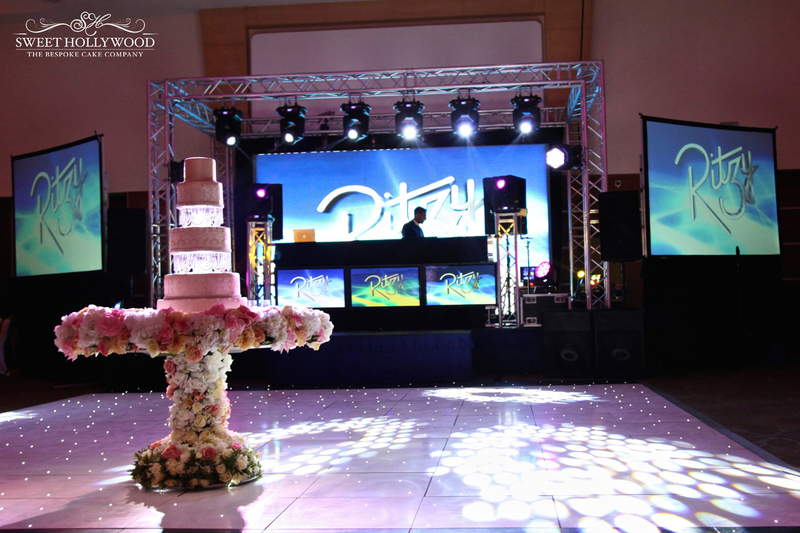 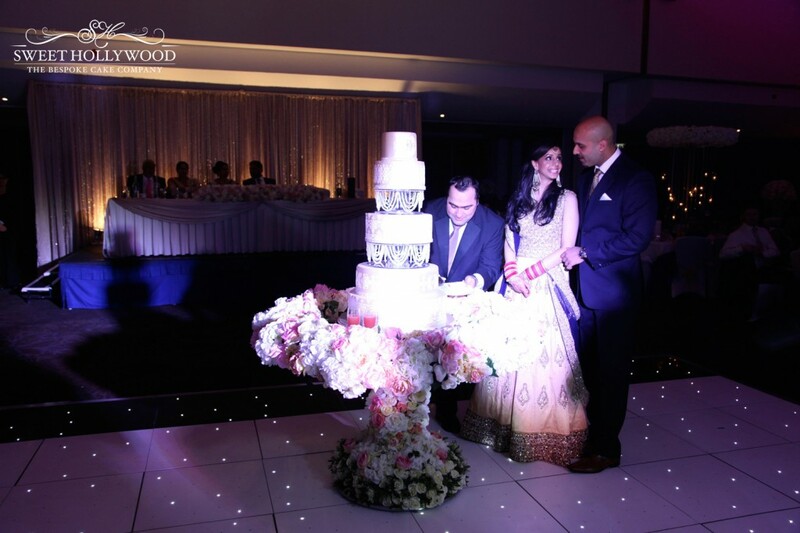 We were very exited when we were approached by our recent client Pardip who was looking for a special wedding cake to match the theme of pearls, flowers and champagne colour scheme for her Indian wedding reception @ Novotel Hammersmith London. 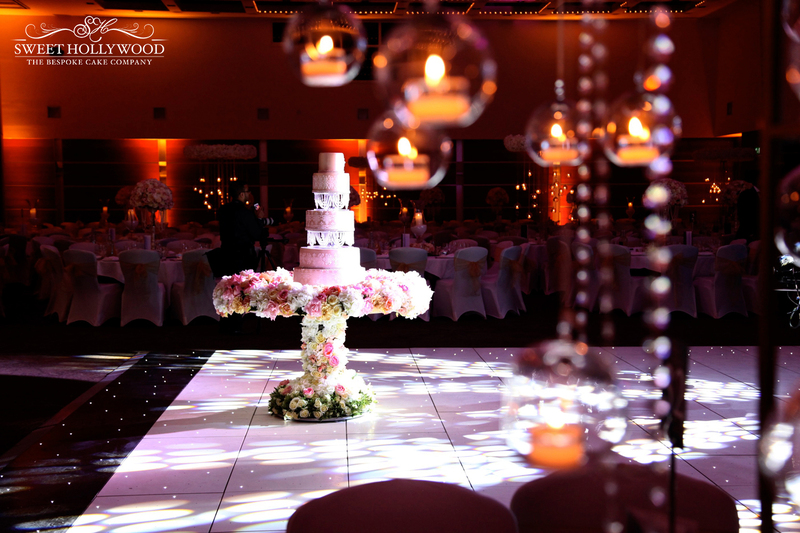 During our wedding cake consultation Pardip and her sister Baldip provided us with inspiration from their beautiful floral and pearl centrepieces which were provided by Royal Wedding Services. 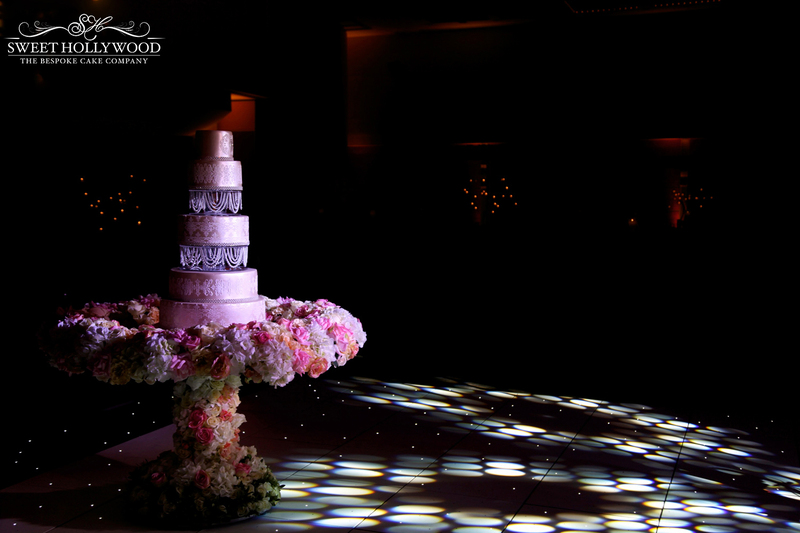 As soon as we saw the images we started getting ideas and decided that with the wedding cake being the centrepiece of the wedding we had to take inspiration from the decor and create a wedding cake with that wow factor. 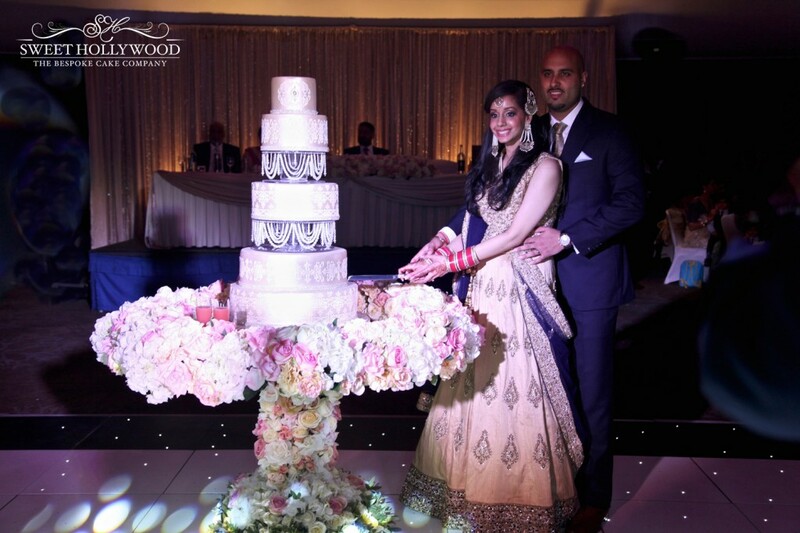 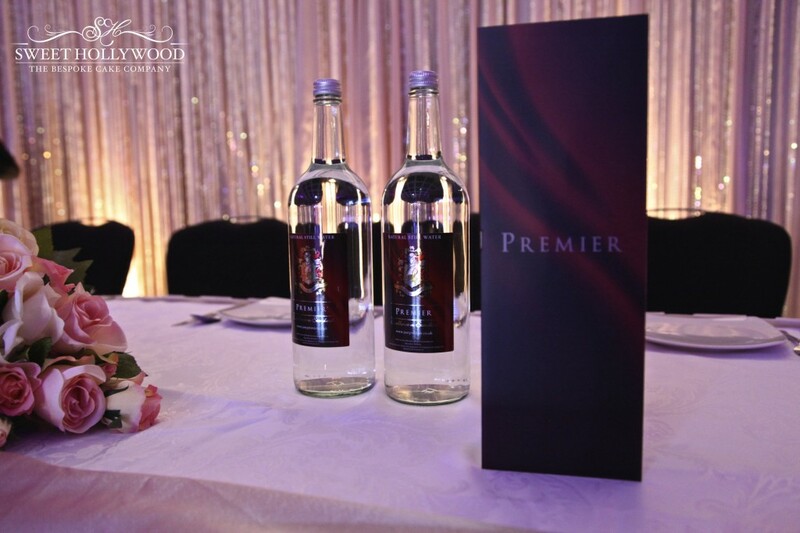 Here are a selection of our favourite image we captured from Kuljinder & Pardips lavish Sikh Wedding reception which was catered by Asian wedding Caterers Premier, Decor by Royal Wedding Services, Asian Wedding Photography by Swarn Media, Asian Wedding DJ – Ritzy Music.